Shanghai World Expo Museum unveiled an exhibition over the weekend, putting on display a collection of 600 memorabilia from previous Expos dating back to the first expo in 1851. A collection of 600 historical exhibits from previous World Expos since the first exposition in 1851 are displayed at Shanghai World Expo Museum through November 11. 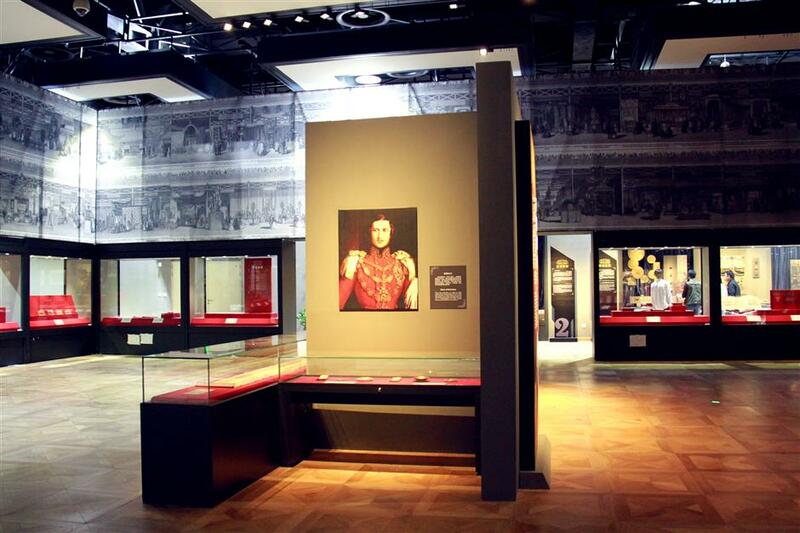 Shanghai World Expo Museum unveiled an exhibition over the weekend, putting on display a collection of more than 600 memorabilia from previous Expos dating back to the first World Expo held in 1851. The exhibition, to run through November 11, presents collection ranging from medals, woodcut paintings, porcelains, stamps to documents. The display runs in seven sections at the northern exhibition hall of the museum near Lupu Bridge on the former Puxi premises of the Shanghai Expo. The Philatelic Collection section, for instance, displays many exquisite commemorative stamps issued for expos. A set of 16 stamps issued for the US Chicago Expo in 1893 by the former Post Office Department is the world's first set of commemorative stamps for expos. The 400th anniversary for Columbus's discovery of America were marked on the stamps, which reprinted some famous paintings collected by the Spanish and Italian museums. 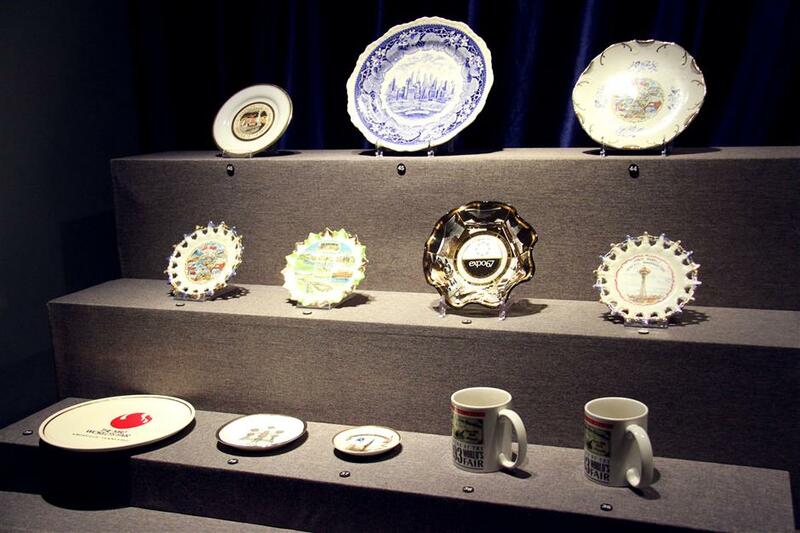 Historical porcelains are displayed at an expo heritage exhibition at the Shanghai World Expo Museum to run through November 11. The World Expo Creations section displays new inventions from various expos, such as a backpack camera developed by Kodak in 1980s, a Breguet Telegraph displayed at World Expo 1855 in Paris and the three-box phone developed by Bell Company in 1870s. The World Expo Medals showcase the medals and souvenir badges issued at World Expos, which demonstrate the techniques on painting, carving and casting, according to the museum. A set of five medals with the portrait of Franz Joseph, the emperor of Austria-Hungary on them were issued for the World Expo 1873 held in Vienna. The Glance of China section gives a glance of China's participation to the expos since 1851. A woodcut painting shows Chinese workers decorating the China Pavilion at the World Expo 1878 in Paris. The museum itself is a partnership between the Shanghai government and the Bureau of International Expositions, the governing body of World Expos. 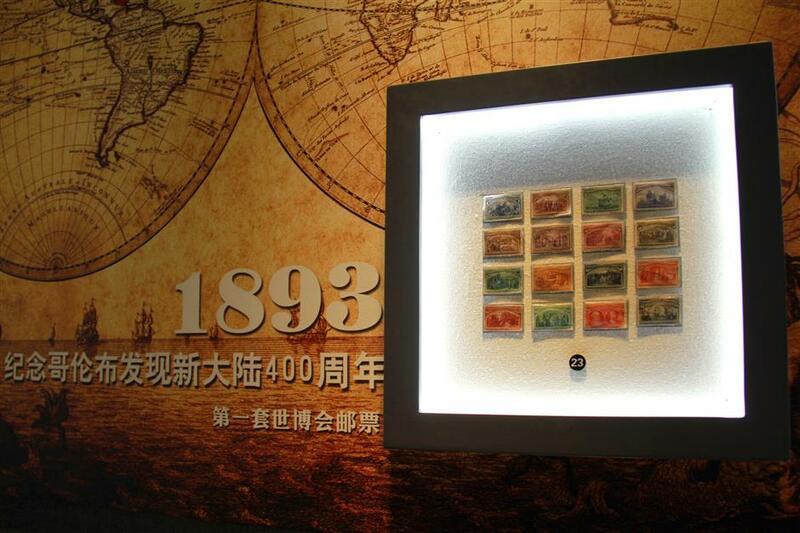 A set of 16 stamps issued for the US Chicago Expo in 1893 by the former Post Office Department are displayed at the Shanghai World Expo Museum. These are the world's first set of commemorative stamps issued for expos. As the only official document center of BIE, the museum has issued three official bilingual photo albums in English and Chinese about the World Expo 2010 Shanghai, the World Expo 2015 Milan and heritage exhibits at the museum. Also there are more than 3,000 other exhibits from expos between 2010 and 2015 on display at its eight exhibition halls. Among the exhibitis are archive photos, videos, documents as well as models and multimedia installations about past expos. The museum opens from 9am to 5pm daily, except Mondays. Tickets are available through its official website and WeChat account. English language service is available. "Significance of the World Expos has been increasing in recent years as it focuses on the common challenges facing the human kinds while looking for solutions based on the worldwide experiences and wisdom," said Hong Hao, the president of the council of the museum. Councilors include those from Russia, Japan and Azerbaijan who bid to host future expos as well as the organizer of World Expo 2017 Astana in Kazakhstan.